Keep pressure and temperature under control with these technologies. SmartLine temperature transmitter can display messages from the control room as well as process data. It features intuitive diagnostics for both the transmitter and sensor, displaying a real-time view of sensor health. A built-in dual-input and digital-output option minimizes the number of instruments needed for both monitoring and switching needs. A low-power version of the company’s DPharp EJA-E series differential pressure/pressure transmitter outputs both 1-5 Vdc and HART signals. The transmitter consumes just 27 mW. The unit has a reference accuracy of ±0.055%. Basic settings for this new DPharp transmitter can be done easily using a setting switch and an external adjustment screw on the transmitter. PT-503 submersible pressure transducers have a PVC housing that withstands prolonged exposure to harsh and potentially corrosive chemicals, even at temperatures from -30 °F to 130 °F and depths to 450 ft. The units are available with 4-20 mA, Modbus, 0-5 Vdc and mV/V outputs. Cable options include Hytrel, PVC and urethane. They also have a Teflon-coated or ceramic transducer face. LE1 pressure transmitter comes with a zero-span adjustment for device calibration in the field. It’s designed for industrial applications, including pump and compressor monitoring, refrigeration and HVAC. It has compact, stainless-steel construction with ceramic sensor and an accuracy level of 0.5%. It’s available with Micro, Packard or Cable Leads electrical connections for installation flexibility. ST130 series head-mount transmitters with thermocouple or RTD inputs are ATEX Zone 2-approved for use in potentially explosive atmospheres with flammable gases present. They’re USB-configured, loop-powered and provide a proportional 4-20 mA output. ST130s also carry UL Class I, Div. 2 approvals. These transmitters also mount in compact DIN Form B connection/sensor heads. Sitrans TS500 resistance thermometers and thermocouples have a modular design, and come in a large range of sizes, materials, sensors and transmitters. A wide range of process connections, connection heads, sensor types, transmitters and displays are available to configure individual solutions. They support HART, Profibus PA and Foundation fieldbus communication standards. PD6830X is a rugged, explosion-proof, NEMA 4X/IP68 Modbus master, slave or snooper (sniffer). It’s designed for accurate display and quick access to temperature and pressure information, locally or remotely, in hazardous areas or in the harshest safe area applications. PD6830X can accept up to 16 individually programmed process variables from multiple Modbus temperature and pressure devices. Mini Pro analog signal conditioners include two space-saving temperature transducers—one module for resistance thermometers (RTDs) and the other for thermocouples. Both have options for creating custom linearization tables. 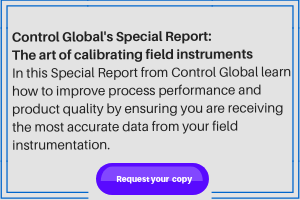 Output can be freely defined, allowing loop calibration via the simple configuration software. The temperature transducers are only 6.2 mm wide. ProSense MPS25 mechanical pressure switches are designed for tough applications. They feature an all-welded 316 stainless-steel, sealed-diaphragm actuator design (for up to 100 psi), or a direct-acting, 316 stainless-steel piston design with a Buna-N O-ring (for 200 to 7,500 psi). The stainless-steel housing provides resistance to vibration. Pressure ranges from vacuum to 7,500 psig are available. Hobo MX1101 is a data logger that measures and transmits temperature and humidity data wirelessly to mobile devices via Bluetooth Smart technology. The self-contained wireless data logger, works with the company’s free HoboMobile app for logger setup and data management. User can access data over a 100-foot range from an iOS mobile device. Deltabar FMD71 level transmitters use two pressure sensor modules connected to one transmitter. One sensor measures hydrostatic pressure, the other measures head pressure. Each sends a digital signal corresponding to temperature-compensated measured pressure to the transmitter, which calculates the differential pressure and transmits level, volume or mass via 4-20 mA with HART as a standard two-wire, loop-powered device. PX51-USBH pressure sensor has an all stainless-steel body and imperial or metric pressure ports. The transducer is temperature-compensated from 60-160 °F, and can be operated between -50-185 °F. The unit is available in pressure ranges from 750-30,000 psi. It is CE-approved to industrial specification EN16326-1:2006. Free software allows displaying data from multiple sensors. Rosemount 4088 multi-variable transmitter provides differential, static and temperature measurement from one transmitter. It sends a reliable and stable signal via Modbus, BSAP or MVS. It’s integrated into an oil and gas production network by transmitting data to flow computers and RTUs. An extended range option captures flow rate spikes above the upper range limit of the transmitter. SolidSense II pressure transducers and transmitters with glass-fused strain gauge technology reduce drift or zero instability. A 316L stainless-steel, chromium-rich, wetted flow path offers superior corrosion resistance. Active temperature compensation improves process pressure measurement in plants exposed to wide temperature variations. FM- and ATEX-compliance meets demanding applications. 154 Series of media-isolated, piezoresistive silicon pressure sensors comes housed in a 316L stainless-steel package as standard. The compact, 19-mm sensor is also available in an ASTM Grade 2 CP titanium housing for very harsh environments. Standard ranges for pressure are from 0-15 psi to 0-300 psi in gauge reference format, as well as from 0-7 bar to 0-28 bar in absolute reference. OptiTemp TT51 series temperature transmitters feature accuracy of 0.05% of span and a five-year stability of 0.05%. The TT51 series is also IEC61508-2 SIL 2-approved for safety-related applications. They work in an ambient temperature range of -40-85 °C, and have a galvanic isolation of 1,500 Vac. They feature a two-, three- and four-wire connection technology. THZ WirelessHART temperature solution combines a battery-powered HART temperature transmitter with a WirelessHART adapter. The device transmits temperature measurements and critical HART diagnostic information to a WirelessHART gateway, even if power is not readily available. The device has 20-bit input resolution and a weatherproof, IP66, NEMA Type 4X, dual-compartment housing.